product works perfectly and is a real time and hassle saver, would say it's a "must-have" for anyone who doesn't want to lug around any extra gear and doesn't want to wake up the baby to take him/her out of the car seat to put into the stroller etc. 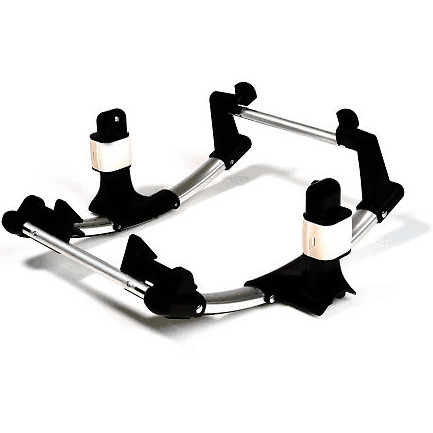 For use with Graco Compatible with Graco® SnugRide® Classic Connect Infant Car Seat 22, 32 and 35 (sold separately)., this Bugaboo Car Seat Adapter - Graco can simply be attached to the chassis of any Bugaboo Cameleon stroller, facing either way. Please note that this adapter is NOT compatible with Graco Click Connect infant Car Seats. If you have a Graco Click Connect Infant Car Seat and would like to use it with a Bugaboo Cameleon 3 you must purchase the Nuna Pipa / Graco Click Connect Adapter for Bugaboo Cameleon 3.